Back in April at Celebration, Lucasfilm finally delivered the very first teaser trailer for Star Wars: The Last Jedi. It was an exciting and promising look at the next chapter of the saga, but if we’re being honest, it really didn’t show off a whole lot. That was to be expected of course, given that it was only a teaser, but there’s no denying that the tantalizing taste of the next Star Wars film left fans hungry for a whole lot more – which, unfortunately, they haven’t gotten yet. Aside from that Vanity Fair blowout a few weeks back, we really haven’t heard too much about Star Wars: The Last Jedi lately. As per usual, Disney’s keeping a tight lid on the project and the marketing push has yet to kick off in earnest. However, with the film’s release date quickly approaching, it appears as if things are going to begin to shift into gear, as we’re learning today that the next trailer will drop this summer. That’s according to YouTube user Mike Zeroh (via Screen Rant), who’s delivered a few accurate tidbits in the past and is back this week to bring us some details on what fans can expect to see when the first full-length preview for Star Wars: The Last Jedi finds its way online. According to him, Luke Skywalker will be featured quite heavily and will also be the subject of the trailer’s money shot. Or at least, one of them. In the teaser we got from Celebration, we heard Luke speak but didn’t really get to see him in flesh, save for a few seconds at the end. With this new preview, however, we’ll actually get to see him talking on screen. Not only that, but there’ll be a moment in the trailer – the aforementioned money shot – where we see Luke meditating on a floating rock. As Zeroh points out, this isn’t the first time we’ve heard rumors of Luke’s “Meditation Rock,” as it’s being called, and we’ve even seen a set video of them filming the scene in question, which you can check out below. Aside from that, we know that the trailer will be 2 minutes and 48 seconds and feature new space battle sequences with Resistance Bombers taking out TIE fighters. Sounds exciting, right? Unfortunately, Zeroh didn’t have anything else to share, but with the preview clocking in at just under 3 minutes, you can bet that we’ll be getting a pretty substantial look at the film. And that’s hugely exciting, given that we’ve seen so little of it so far. 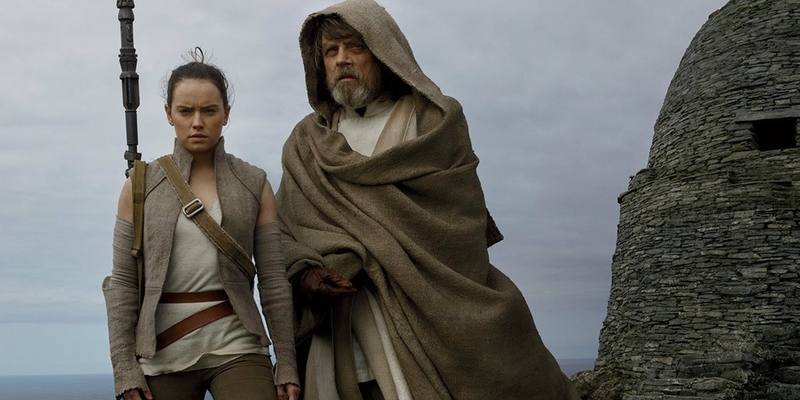 On December 15th, Star Wars: The Last Jedi will make a beeline for theaters the world over and uncover the next – and seemingly crucial – chapter in the Skywalker saga. There’s no exact date just yet for when we can expect the new trailer, but be sure to stay tuned as we’ll no doubt start to learn a little bit more in the not too distant future.